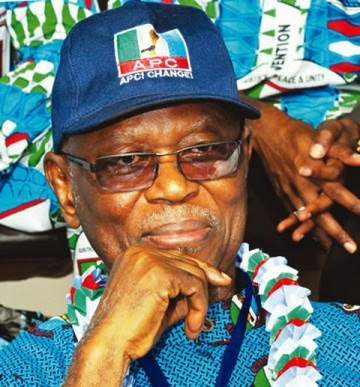 Unknown gunmen today Jan. 12th broke into the home of the Chairman of the APC, John Oyegun. According to a statement by the party, two men suspected to be assassins broke into Mr Oyegun's Abuja home around 1.3am and went straight into his bedroom to ransack it. The men met Oyegun's wife as he was not at home when they came. “The facts of the raid as available so far point to a sinister motive. For example, only Chief Oyegun’s room was ransacked in the whole house. Common sense dictates that if the invaders were robbers, they would have ransacked the whole house in search of money and other valuables which they might have believed were in the residence.